Having summarized my limited 6-year experience in fintech and intuitive guesses on the next industry trends almost a year ago in October of 2017, I presented my first book “The First Fintech Bank’s Arrival.” It was a bit self-confident on my part since I’m no writer and I have never viewed myself as one and still don’t (and those who know me personally know that I cannot even string a sentence together in English). When they say “the first book” they casually hint at the second and third book. I hope that in my case I will not bore readers anymore and won’t clutter the information space with new scrawl. So I’m a dilettante in everything — I’m always interested in something new, I’m asking an infinite number of questions, and I’m not afraid to share the answers found. I have never laid any claim to any fundamental novelty or significance of my ideas; rather, I share my experience with the hope of saving time and energy of other dilettantes like myself. Quite to my surprise, the book received a positive response: more than 11 thousand followers on our Facebook page, I was invited to present the book at 15 events in eight countries (Singapore, the Philippines, Portugal, Belarus, Spain, USA, Dubai, China), some fintech experts, bank heads and representatives of regulators found it useful and recommended for others to read. Especially flattering and humbling were the invitations from two prestigious business schools — INSEAD and Wharton! And I’m very grateful to them all and those who asked me questions personally or online. Many times, I heard the same question: “Why don’t you want to build the bank you wrote about yourself?” The world knows only a handful of coaches who can play well on the field themselves, so at first, I could not garner enough audacity to change investor shoes into startup sneakers and run out onto the field. One can say that our project was born from the question “What if?” — although at that time it was not yet conceived. In November 2017 , a month after the book was published, my colleagues and I were attacked not only by interested parties seeking investments or advisory services representing hundreds of newly-born ICO startups, but also by several “happy” dozen of the “lucky” ones who had already successfully “raised millions in investments” through a new way to raise capital (many of which often deceived investors), and had faced the problem of their banks either not opening accounts or freezing and closing the accounts of their companies. Their common question sounded very stupid to me at that time: “Do you know any bank, anyone, from anywhere, that could open an account for us?” It was late 2017, amidst tons of rapturous articles both about the bright prospects of blockchain technology in general, and the success of specific companies in particular, such a question came up from “the most progressive innovators.” At first, I did not take it seriously. I thought that brilliant physicists (i.e. successful newly-born ICO millionaires) might not know how to cook soup (i.e. open a bank account). But the more often I heard this question the more I realized that this was not a joke. I gathered a small team and we spent the autumn of 2017 focusing on the validation of the problem. We asked a lot of large and small, technologically advanced and unadvanced banks from different countries whether they opened accounts for this kind of customers (no), and if “not”, then why and under what conditions could they open accounts for them. It would seem that a relatively small number of players have accumulated a total of several billion dollars, which they can not normally put in a bank account and use them for their business development — these potential customers are yours for the taking. 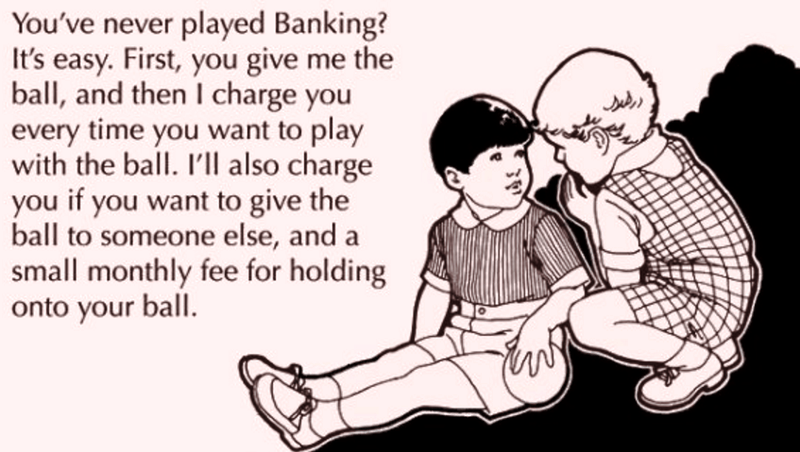 But it turned out that even though banks want their billions, they can not accept them. I will not list here all the problems, causes and other obstacles “why not” — if you are interested, I can devote a separate text to all these meetings and insights received. Frankly speaking, while we have been dealing with the problem of bank rejection of crypto-related companies, we have found out that a large number of people and businesses were bereft of love (or more precisely, understanding) by banks. Foreigners, charity funds (true story) almost all freelancers and other representatives of the GIG economy, as well as legal marijuana sellers, refugees, unbanked clients, politically exposed persons, the several tens of thousands of resident companies of the popular e-Residency project can only open accounts involving 1–2 banks, and other key unbanked customer segments (which I promise to disclose later). Initially, our project had the working title, “The Bubble Bank,” since all the new players were called nothing but a “bubble,” we decided to manifestly call the bank accordingly. We spent November and December 2017 analyzing different ways to solve the problem: a partnership based on the license of a friendly bank, a rapid receival of a banking license in a country with a weak economy (and often with low requirements for the origin of capital, and therefore, a friendly regime for crypto and anything in general), a purchase of a small European bank and a change of its business model for a new segment of customers… we tried to come up with every idea, but just ran into walls. In the end, we realized that if we don’t want this bank to be established “quick and dirty” (in order to make a fast buck and skip on the island to lay down under the palm tree), but rather want it to be done qualitatively and for a long time, we should begin with the most difficult market in terms of regulation — the USA. In the beginning, we thought that we could “take a shortcut” to the market by purchasing a small bank and changing its business model. We even reviewed more than 20 banks in different states for these purposes. But quickly enough we realized that the bank in America is not about having money to acquire it (this is the smallest problem), but about WHO acquires it and WHY (what will we do with it). If you want to serve these kind of businesses, then a bank acquisition will not save you time, energy, or money. There was only one way out: to apply for a new banking license. And here it is necessary to understand that regulators all over the world, and especially in the US, are not trying to issue more new licenses but, on the contrary, are trying to reduce their number (for understandable and rational reasons). Everyone tried to talk me out of this by making all kinds of arguments: it is very difficult in general, and it’s impossible to serve such customers; “no digital bank has its own license in the US, so what are you trying to do?”; you are a foreigner, on top of all, Russian (“Are you reading the news in the US?”). Frankly, when looking at the overall picture I shared the skepticism of “well-wishers”: the number of “cons” was ten times higher than all permissible norms in comparison with possible prospects. But my natural dilettantism took my curiosity — “Why not give it a try? What if it works out?”. After all, if we decompose this hopeless path into concrete steps, then each of them is quite understandable and surmountable. I will not bother with all the stories of where, how and with whom we looked for approaches to begin climbing this mountain. As a result, on January 15, 2018, we landed in the city of San Juan in Puerto Rico, an independent US territory whose banking system belongs to the Federal Reserve in New York. We immediately fell in love with Puerto Rico — both in terms of everyday life, the social and cultural environment, business opportunities, and the value that we can bring back to the society here. We are: myself (35 years), my VC partner, Igor (33 years) and Jeremy (24 years). 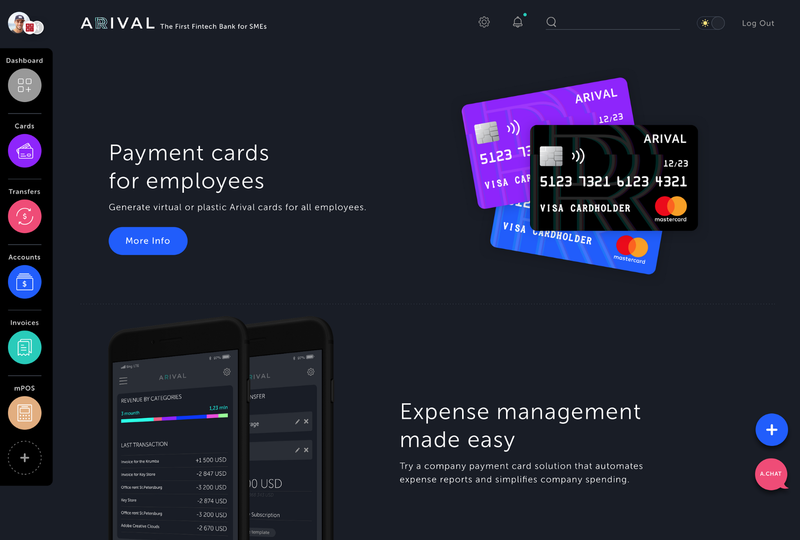 We decided to name the bank Arival for a number of reasons. This is the reference to the title of the book (“The First Fintech Bank’s Arrival”), with which everything began and the spirit (approach) of which is laid in the foundation of the bank. 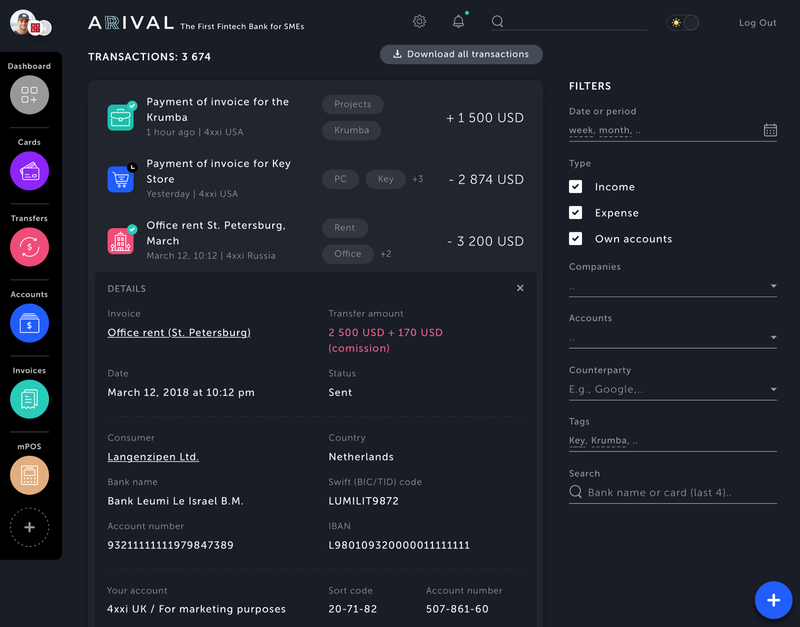 At the same time, it’s “arrival of the first fintech bank” and “a rival for traditional banks”, which reject many clients (not only crypto), in addition to not willing to understand them and deal with them. In addition, “the new arrivals” are renegades and conquistadors in new industries, creating new businesses and approaches, a new wave of entrepreneurs that appear with the advent of new technologies. Subsequently, we were joined by a very strong CTO with a well-coordinated team that worked with many of the largest fintech companies, an art director who came up with the name, brand and all the identity, and a Chief Compliance Officer, who, on the one hand, was experienced enough to understand both theoretically and practically what should be done, and, on the other hand, with an “open mind” to look at the process without blinders and stereotypes, and to find opportunities how to build the process of compliance even better and more convenient. 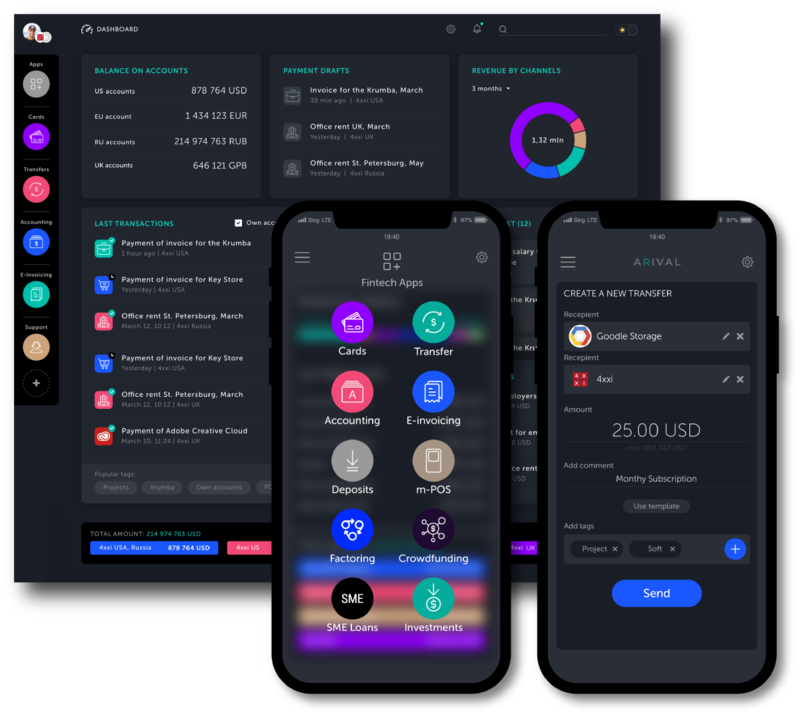 When you establish a new bank, you think about the future customers as much as possible, about their problems and how you will solve them, what technologies to use, how to make it convenient for customers and, at the same time, different from other players. 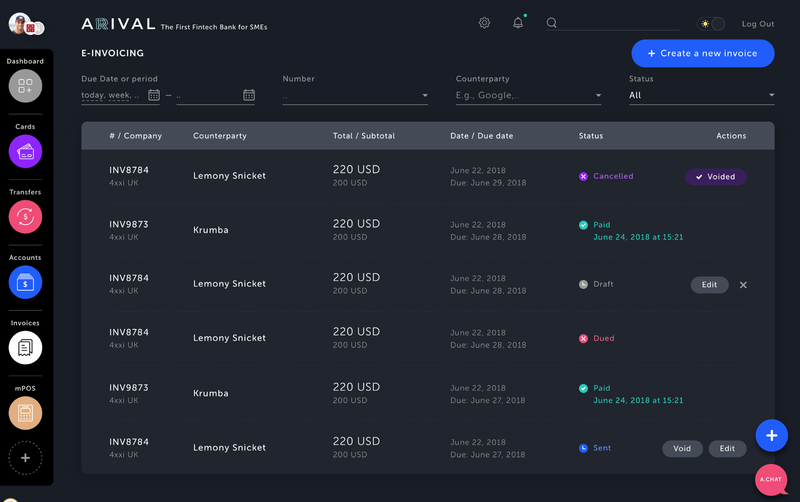 But when you apply for a license, the main issue that will bother the (or any) regulator is how your compliance will be organized, and how you will do KYC and AML. And this is understandable — you see the world through the eyes of new opportunities, and the regulator wants to ensure that you will not become an accomplice (intentionally or unintentionally) to “dirty money” financial transactions and able to protect the money of your business clients. Although only the lazy did not say that we will never find answers within the framework of compliance that will satisfy the regulator, we approached this task not as “forced encumbrance” but as one of the main bank “features” and made it our passion and succeeded in this well. Together with our partners from A.ID (compliance-as-a-service startup), Promontory Group (very big and sophisticated compliance advisor, consultant and auditor), DLA Piper (big international legal firm) we created a vision, new approaches and ways to apply the newest technologies in order to verify and assess our customers’ risks at the highest possible level, as no other bank does. At the same time, we managed to make the entire process so convenient, transparent, adequate, and replicable in the future that our customers wouldn’t go crazy about it and would also see value in it now and later. But I’ll talk about this somehow later and independently (in case you are wondering). Understanding and building the compliance required a huge amount of our time, nerves and money. At various stages, we involved a large number of compliance specialists from different countries. But it was worth it! Now we understand that having such a compliance creates a foothold not only to attract and serve crypto clients now, but also to enter new niches of “non-standard” customers that are underserved by traditional banks because of their misunderstanding. 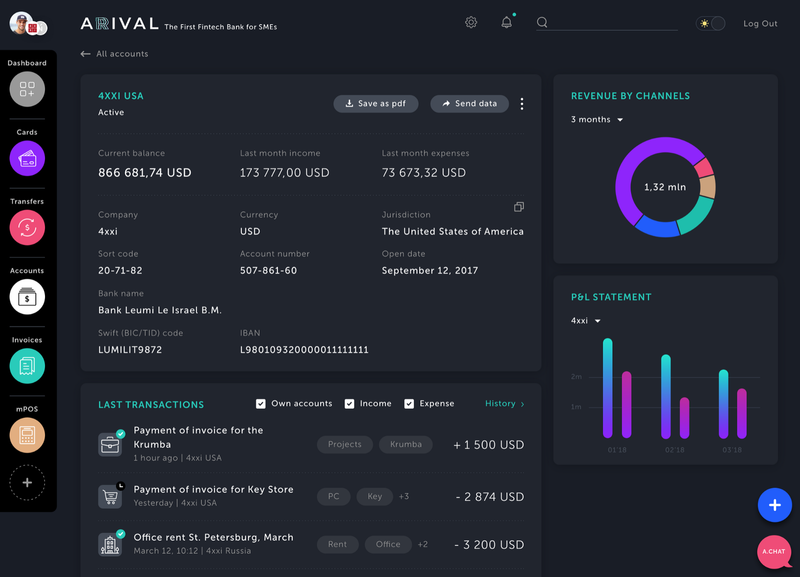 Several months ago, we passed the first important milestone in the development of Arival Bank — we submitted our banking application for the IFE license in Puerto Rico. Currently, we are waiting to receive the first official approval from the regulator in the form of a Banking Permit (or “Permit to Organize”). The next goal is to obtain a full-fledged License for operational activities. I hope that we will successfully reach it, although, of course, no one is immune to failures and no one has any prior guarantees from the regulator, especially when you are doing something first on the market. How did we manage to get to this point and already meet with George Joyner (the Commissioner) and his team? First, he is advanced in terms of knowledge and understanding new technologies. Secondly, we initially focused not on innovation or disruption of the market, but on the fact that we understand what a bank is, what banking regulation is, what compliance is and that in our case we must do it even deeper and better than the rest. Thirdly, we do not represent the crypto-world or own crypto-assets, and we have no conflict of interests in this matter. Fourth, we know well not only fintech in general (not in theory, but in practice!) but also digital banking (as investors in a number of successful digital banks). Fifth, our bank started not with a banal greed for gain from the current situation of market asymmetry, but with a dream of an ideal, better bank, which was reflected initially in the book and appreciated by experts from different countries. Sixth, with our investments and researches, we have earned a reputation in the fintech world sufficient to attract other fintech startups as partners to design such a bank. As far as our approach to a product range is concerned, we do not want to create products ourselves. We want to aggregate the best fintech solutions under one roof. Just imagine that you could use, for example, Square, Stripe, LendingClub, TransferWise, AngelList, Robinhood, Kickstarter as one service. And you have more than seven of them — you will have twelve services available, and all are tailored for businesses instead of retail customers. 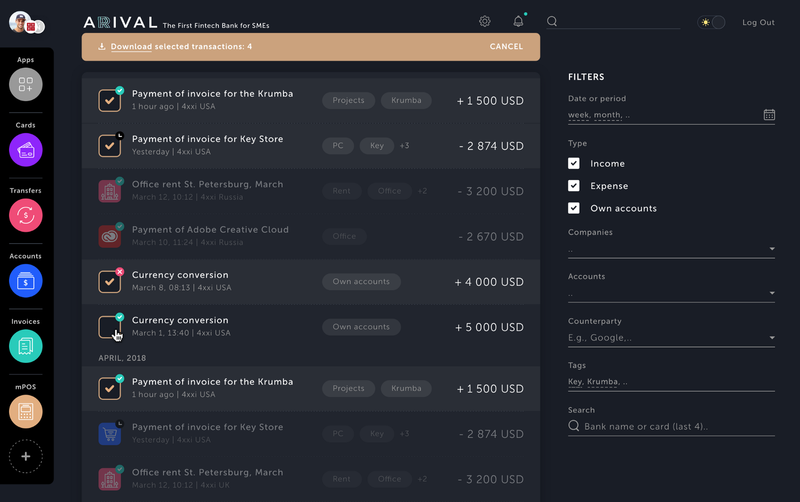 And you do not need to register and log into each of them separately, the data is integrated and complementary, the accounts are combined, and one support service for all inquiries… isn’t it fascinating? 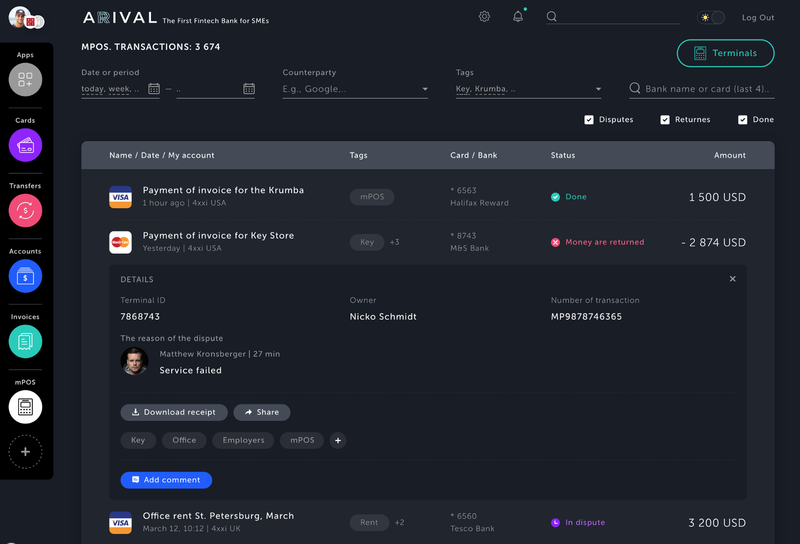 On one hand, this is a return to the origins of banking, when the bank itself is only responsible for storing money in the account, and on the other hand, it reflects the essence of what fintech does: delivering new client experience instead of new products, technologies, prices or types of transactions. We already have exciting things to showcase and share about our product, but it’s better to do it independently. This story is neither about a new unicorn, nor about the market revolution, nor the fact that we are against someone and want to take some market from other players. This story is about a small group of ordinary guys who met customers who found it painful and uncomfortable to deal with the current market offer and these guys started asking questions. After not finding answers, they began to do something themselves, gradually and step by step. This is the story of a team who were told they were destined to fail, but they somehow continued pushing through. So what are your thoughts? Are you interested? See you on Monday at Finovate stage in Hong Kong!